Just in time for Black Friday, some of our favorite lunch box items are offering great specials! With multiple options and configurations, Laptop Lunches are a great way to pack & repack lunches. This week, Laptop Lunches is offering sales on all items in their store, along with free shipping using the code Gift2013. 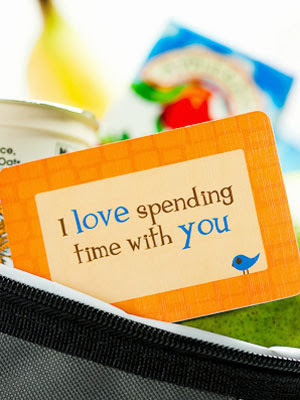 We love our Lunchbox Love notes, especially the variety of choices. Use code FB50FRI to get 50% off everything on the site! 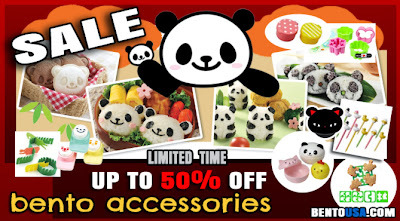 One of our favorite bento shops, and creators of the awesome CutezCute cutter, All Things for Sale is offering big discounts on all sorts of bento accessories this week! And how can you say no to pandas? This post does contain affiliate links. We very much appreciate you shopping through our storefronts, as it helps us keep up with books, bento gear, and the occasional jumbo bag of gummy bears.